ABC, easy as 1-2-3! 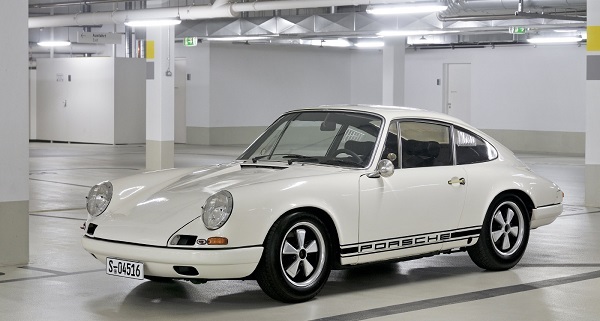 Despite having over 50 years of history, the Porsche 911 is relatively easy to classify. Read how we classify between generations of Porsche 911 here, starting with our first classification: the 'pre G-series' 911. 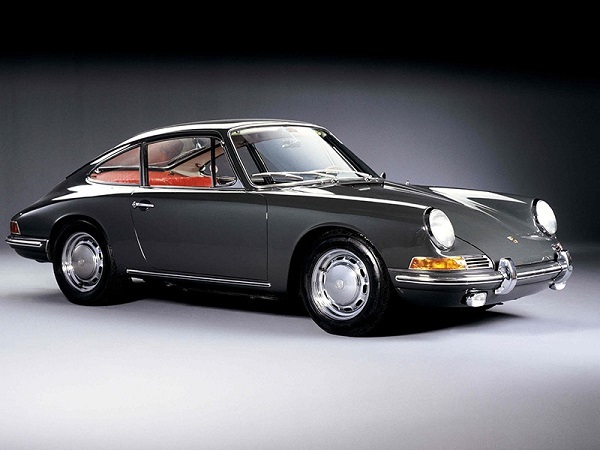 The Porsche 911 was originally presented at the IAA Frankfurt in 1963 as the 'Porsche 901'. And the nine-o-one would have gone on to become the norm for the modern-day sports car decade after decade, if it weren't for those meddling French! It was in fact Peugeot that filed a formal complaint for patent infringement against the model designation, leaving the Porsche bobos with no other option than to rethink the name of the car shortly after production had begun in September 1964. No doubt that many endless, cigarette-drained "treffen" were required to finalize the renaming to Porsche 911... A total of 82 901s were produced before the name change, bombarding the 901 to true unicorn status in the history of the Porsche 911. 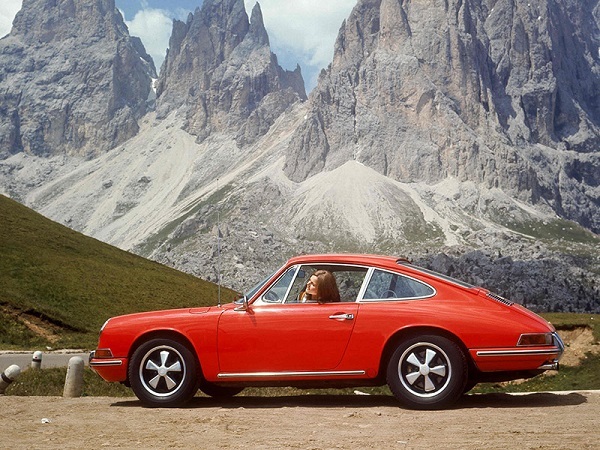 Hence the Porsche 911 as we know it has officially seen the light as of model year 1965. The first cars came with a 2.0L flat-six engine at the back and the recognizable chrome-plated bumpers with bumper guards. 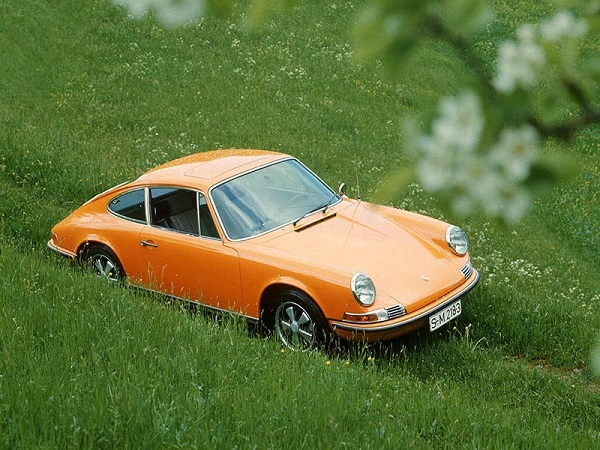 This design of the Porsche 911 persisted until 1974, when its successor was introduced: the G Series Porsche 911. 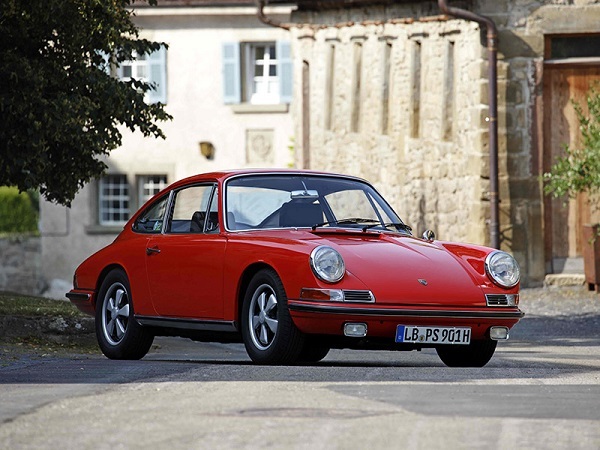 On 911 Vintage we classify all Porsche 911 cars built between 1964 and 1974 as 'Pre-G Series' cars, which is the first category available under the 'Generation' filter in our search engine. This generation of the 911 is also dubbed the Urmodell - freely translated from German as "the Homo Sapiens Idaltu that came before the Homo Sapiens Sapiens, but then for the Porsche 911 instead of the human race". Within the Pre-G Series family there are a number of different types available, ranging from the O series to the F series, each of which are summarized below. The O series cars are recognizable by their short wheelbase and their abundance of chrome-plated accessories: the bumpers with dual bumper guards in the front, the door sills, the air grille at the rear engine lid, the horn grille at the front and the exterior side mirrors. The Porsche logo and model label were gold plated, the latter being slanted in the first model year and later straight and centrally mounted, since MY 1966. Fuchs wheels were yet to be introduced to the Porsche 911, hence the O series were originally delivered with the VW Beetle-inspired domed wheels. This series came with 4-speed manual transmission as standard, yet a 5-speed gearbox was available as well. In 1967 Porsche released the very first 911 Targa model, featuring the now legendary roll-over bar in brushed Nirosta steel, with removable soft top and a plastic foldable rear window. 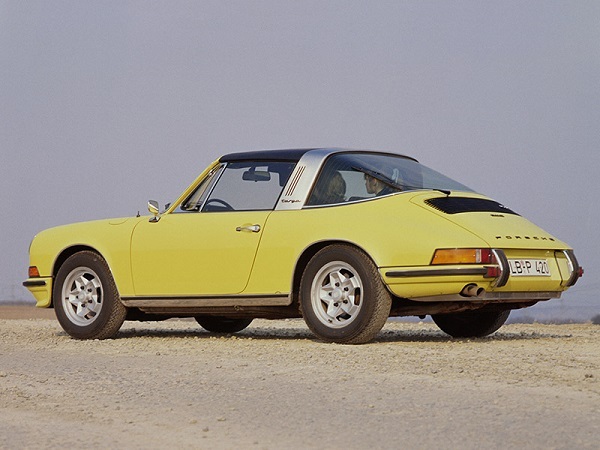 This first generation Targa is also known as the soft window Targa. 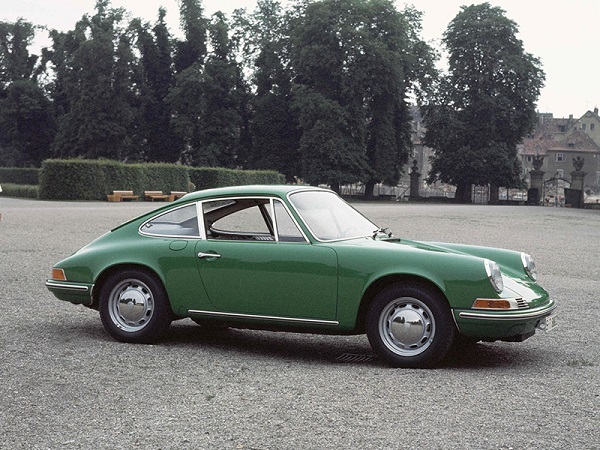 The 911 S (for Super) was introduced as a lighter, more powerful variant of the 911, which had a higher compression engine thanks to the use of twin Weber 40IDS carburetors. This was also the first 911 to feature the iconic Fuchs wheels. A soft-window Targa version was also available. 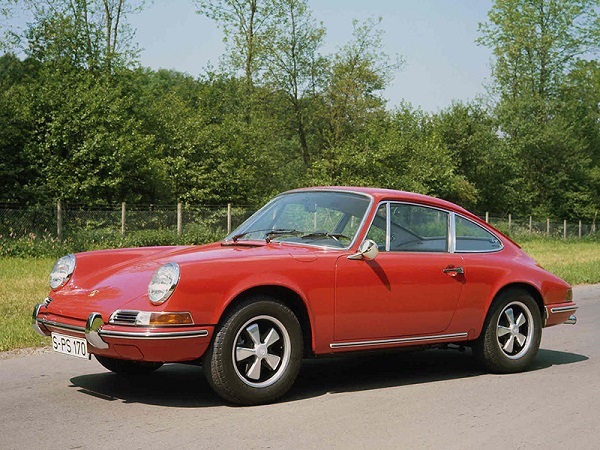 The first 911 S cars were available as O series car but later transitioned in 1967 to what we today call the A series: 5.5" wheels, hydraulic brakes and alloy callipers. 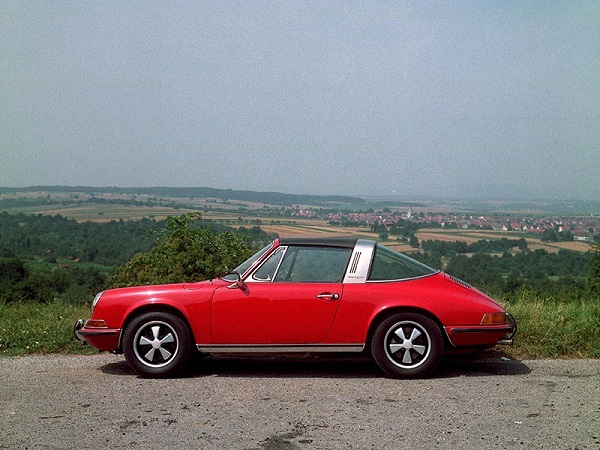 The first 911 T (for Touring) cars were introduced as the entry-level 911. To save on production cost the aluminum cylinder heads were replaced by iron-cast units and carburetors instead of fuel injection. These engine mods came at the expense of cooling capacity versus the S (and later L) cars. All T cars were fitted with a 4-speed gearbox. In the last production year of the 2.0 T the Targa saw its soft window replaced by a fixed safety glass unit, which would last for future generations to come. All T cars featured the extended wheelbase chassis, effectively making them all A series cars. Where the 911 S was introduced as the high-performance 911, the 911 L (for Lux) needed to be the line extension for the touring driver. The 911 L shared the ventilated front-disc brakes of the S, yet its engine took back to the original 911 and had less power. The body added 50kgs of weight over the S. The L was the last 911 to be added to the line-up of 2-liter cars. It is also the rarest of A series cars, having been in production for only one year. The now legendary 911 R was a very special, lightweight version of the short-wheelbase O series platform, introduced in 1967. 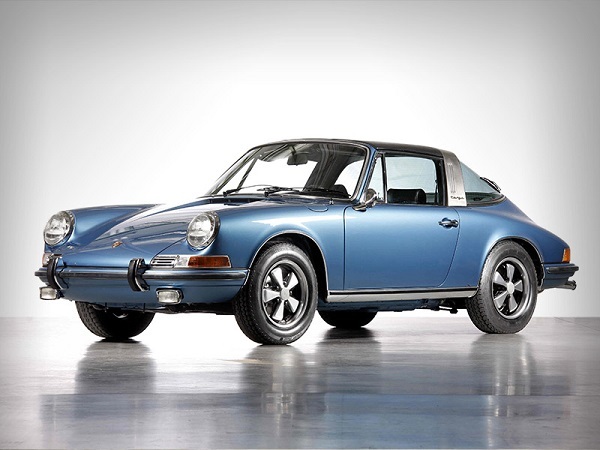 Weight was reduced dramatically thanks to the predominant use of fiberglass for the car's bodywork, while the visceral 2.0L 901/22 engine boosted power up to unseen levels for the Porsche 911 at that time. Honored with its own revival car in the shape of the 991 R in 2016, the original 911 R has now finally received the credit it deserves as the very first ultra-focused lightweight 911. This is the father of the track day 911. The Porsche 911 2.0 E (MY 1969), enter the B series! 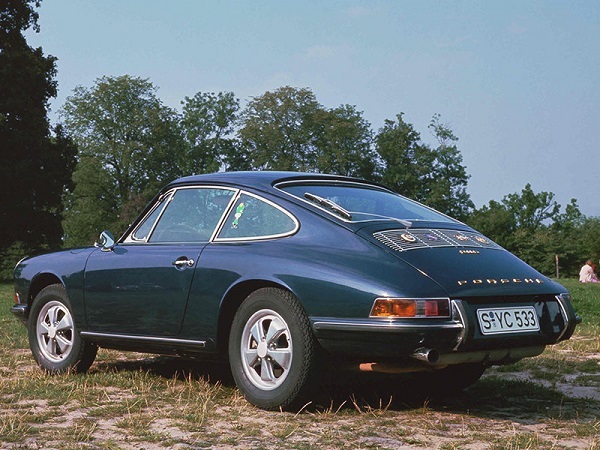 The 911 L was renamed 911 E (for Einspritz) in what was the first major update for the 911 in 1968. Power output increased thanks to fuel injection, whereas weight decreased. The E became the new standard 911. The updated 2.0L flat six of the 911 E also made its way to the 911 S, boosting power further to 170hp which was very decent for its time. This last update of the 2.0L engine came with a significant pressure increase on the engine, which lead Porsche to install an extra oil cooler in the front right-hand wing of the car. For model year 1970 the full line-up received an engine update that increased capacity to 2.2 liters. The torque curve was now flatter, enabling a better drive. The ventilated brake discs from the 911 S were now also fitted on the 911 T, that upgraded from a 4- to a 5-speed gearbox. Wheelbase increased from 2,211mm to 2,269mm to improve handling, yet the overall dimensions of the car remained unchanged. Apart from the capacity increase, the new 2.2 liter engine also received revised cylinder heads, larger valves and stronger connecting rods. After one year the 911 was fitted with a hot-zinc coated underside, effectively marking the start of the D series for MY 1971. Trivia: Fuchs wheels diameter increased from 5.5" to 6"
The 2.2 liter 911/02 flat six enabled the 911 S to increase its power to 180bhp, yet it did not come with the flat torque curve advantage like the 911 E. As a result, the 911 S requires the driver to keep revs up to fully benefit from the engine's power. Unlike its description would indicate, the E series Porsche 911 was equipped with a 2.3 liter flat six engine, further increasing the engine's reach thanks to improved power and torque output. The 911 T's 911/57 engine featured carburetors, however the car was delivered with a manual fuel injection (MFI) unit - the 911/52 engine - in certain non-European markets such as the United States, and some Asian countries. 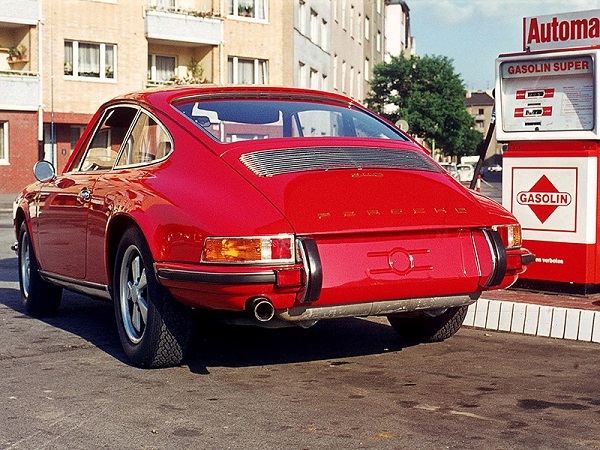 The 911 T with manual fuel injection had a 10hp power advantage over the European car. Unlike the 911 T, the 911 E's 911/52 type engine used Bosch mechanical fuel injection (MFI) in all markets. The capacity increase to 2,341cc was achieved by increasing the engine's stroke to 70.4mm while leaving the bore unchanged. With power and torque increased, Porsche decided to provide the 2.4 liter cars with a new, stronger gearbox: transmission 915. Derived from the original transmission unit in the Porsche 908, the 915 transmission changed the dog-leg first gear of the Porsche 911 to a traditional H pattern that had its first gear on the top left. 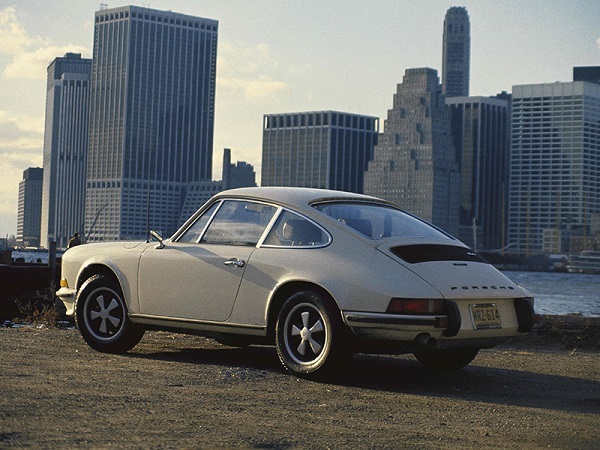 The top of the range 911 S also was delivered with a manual fuel injection engine in all markets. It was the fastest 911 in the line-up, with the larger displacement delivering 190bhp and a 0 to 100 km/h sprint under 7 seconds - faster than the 911 R. As a result the 911 S was fitted with a special front spoiler in plastic to improve high-speed stability. Not only does this make the 911 S 2.4 liter one of the most competent pre-G series cars, but perhaps also one of the most desirable. Trivia: the E series cars had the unusual oil tank cap at the right rear side of the car, with the dry sump oil tank relocated from the back of the right rear wheel to the front of the wheel, this in an attempt to improve the car's gravity center and improve its handling. These cars are hence known as the "Olklappe" models and are highly collectible due to the small production run, since the oil tank was moved back to its original position with the introduction of the F series for model year 1973, following customer complaints that the gas station attendants often filled gasoline into the oil tank.